Riyadh Al Balushi was a 2010 Professional Legislative Fellows program participant linking community leaders from the United States with their counterparts from Kuwait and Oman. He was selected based on his exemplary work as a Senior Legal Researcher within the Ministry of Legal Affairs and his interest in and use of technology to enhance his work. 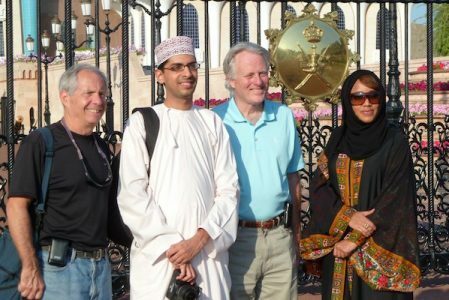 During his fellowship at the United States Congress, Riyadh continued to seek out more knowledge using the vast resources of the Congressional Research Service, and by attending committee hearings and bill markup meetings. He also met with a variety of Hill staffers to study technology used for tracking legislation, citizen engagement, and public access to laws and lawmakers. What was also striking about Riyadh is his exploration of all aspects of the impact of technology on society, freedom of expression, intellectual property rights, government transparency, the role of media in civil society, and on citizen powered media. Six years later and he is changing the way Omanis relate to the law and promoting informed dialogue. 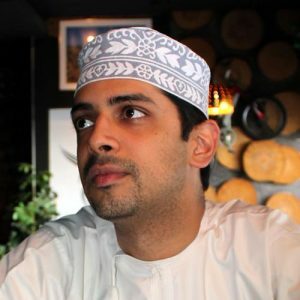 He credits his fellowship at the United States Congress with inspiring him to create Qanoon.om, the first online portal in Oman to make all local laws available to members of the public free of charge. His project transformed the way the public access government information in Oman, providing access to all royal decrees and ministerial decisions issued since the establishment of the modern Omani state. The portal was officially launched in September 2015 and is already visited by thousands of users in Oman every month. Riyadh says that he learnt many lessons during his fellowship that were vital to the success of his project, including the importance of having strong serious project partners and the need to have a clear action plan with realistic milestones. In addition to his work on the portal, Riyadh is an advocate for creating balanced intellectual property laws that ensure that members of the public have a fair opportunity to take advantage of cultural works to exercise their fundamental rights to freedom of expression and to access knowledge. He also writes a column for the Muscat Daily about the impact of internet laws on society, and he is in the final stages of completing a PhD in the area of intellectual property and human rights at the School of Oriental and African Studies in London. The Department of State is honoring Riyadh next week with the Alumni Impact Award which recognizes impact fellows are making on their communities after participating in the Professional Fellows Program. Their outstanding achievements will be acknowledged at the upcoming Spring Professional Fellows Congress in Washington, D.C., November 15-17, 2016, where they will discuss their work and have the chance to connect with over 280 Fellows from around the world.